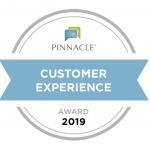 MARIAS CARE CENTER IS A PROUD RECIPIENT OF THE 2019 PINNACLE CUSTOMER EXPERIENCE AWARD, RANKING IN THE TOP 15% OF LONG-TERM AND POST-ACUTE CARE PROVIDERS NATIONWIDE. THIS AWARD DEMONSTRATES TO CURRENT AND FUTURE RESIDENTS OUR CONTINUED DEDICATION TO PROVIDING THE VERY BEST HEALTHCARE SERVICES AVAILABLE. Marias Care Center, we provide a continuum of care that bridges the gap between hospital and home. Whether you are in need of short-term rehabilitation or long-term care, our team works to help you recover and return home. We want to empower you to meet your goals and regain your quality of life. Marias Care Center is attached to the Marias Medical Center and Marias Healthcare Clinic. Nestled in one of Shelby’s quiet residential neighborhoods, our residents benefit from a full range of therapy services. We’re pleased to be located within easy reach of Shelby’s acute hospitals as well as shops, restaurants, theaters and the sights and sounds of downtown cultural events.